Warm colours and fine woods as well as a spacious elegant design create a private and pleasant atmosphere. Perfect organization from your first request until the final invoicing, a diverse culinary offering, exclusive and personalized guest service and assistance make your event a guaranteed success. All this right in front of St. Stephen’s Cathedral, a highlight that fascinates all guests. 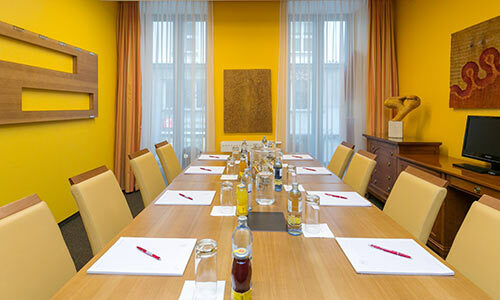 Be an impressive host and delight your guests at your next event at Boutique Hotel am Stephansplatz. 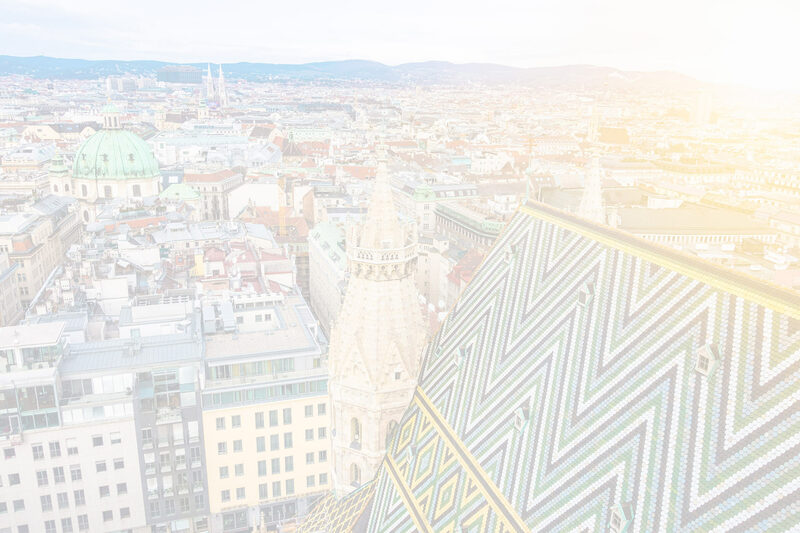 Our two meeting rooms — MATTEO, named after the owner’s youngest son, and INOFFICUM — are invitingly bright and friendly and feature state-of-the-art technology right in the very centre of the world’s most liveable city – Vienna – at the Boutique Hotel am Stephansplatz. 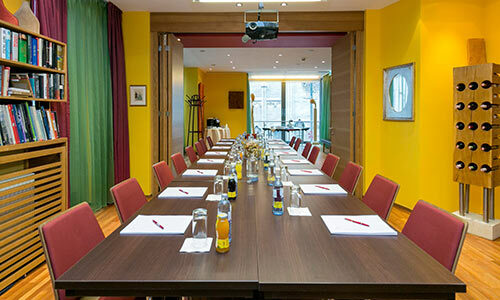 Included in the room rental fees are the seating as well as technical equipment such as beamer, screen, flipchart, pin board and moderator’s case. We will be pleased to make your meetings even better with a variety of coffee breaks with snacks or pastry or treat you to our lunch buffet or set menu. Have a closer look at our banqueting offers and download our banqueting folder as PDF HERE.